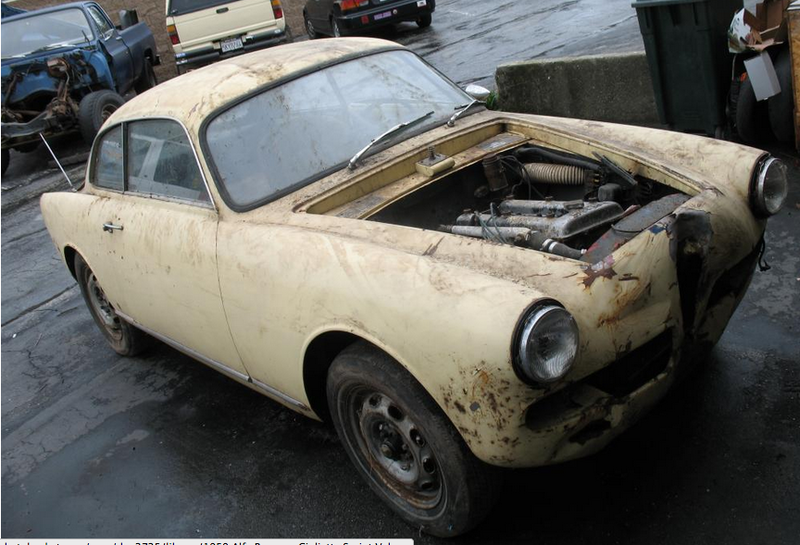 Update 11/11/09: This car was relisted and sold for $11,500 with 1 bidder. This is a little more like it for a Veloce. Update 11/6/09: 21 bids, $7300, reserve not met. I am a little surprised by this. Veloce’s are usually at a premium. Maybe the reality of trying to track down all the required stuff to restore it has dampened the usual fervor. We’ll see it again I suppose. 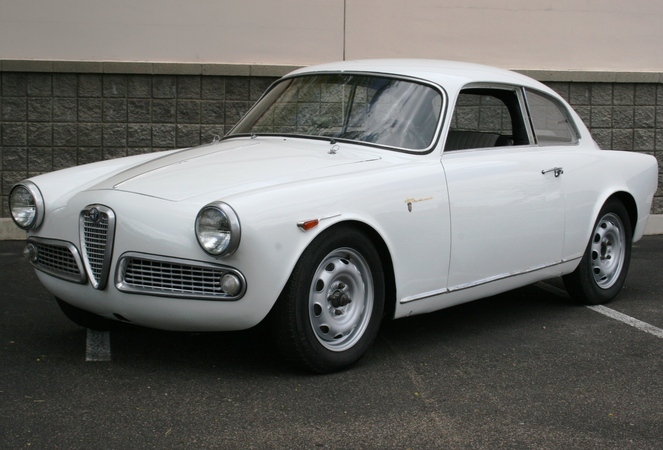 Giulietta Sprint Veloce 750E 1493*11014. This car is on eBay right now out of -you guessed it- Newport Beach California. I’m pretty sure this is a car that was on Craigslist recently and the seller, a guy I know from buying a 1750 for my SS before I found the 00121 1600, decided he would let a pro list it and get all the money for it. The original engine would have been one of the last 1315*3xxxx Veloce engines, but I suspect it would have had 40DCOE 2’s at this point as they had been out for a while. Anyone have a Sprint Veloce from this series 1493*11001 – 11101 or a Spider Veloce 750F between 1495*05620 – 07213 that has 40DCO3’s? Nose is in good shape. You can clearly see here how Bertone used lead to fill out the body shape . Bumper, grills and headlight rings all look good. 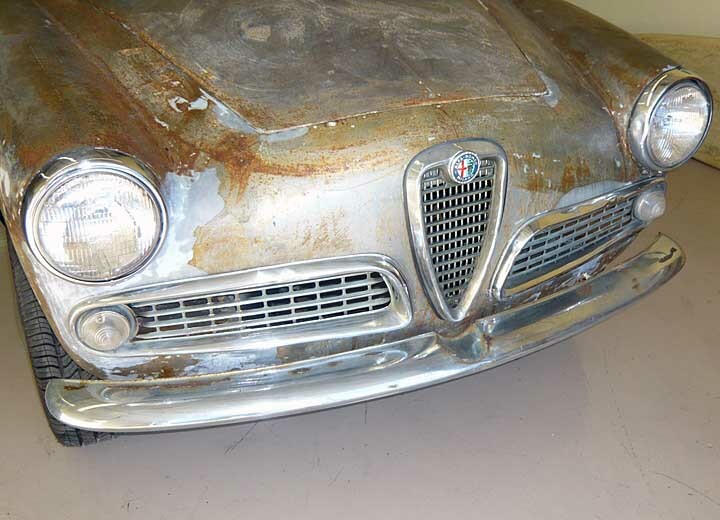 Giulietta Sprint 1493E09676, 1315*32720. 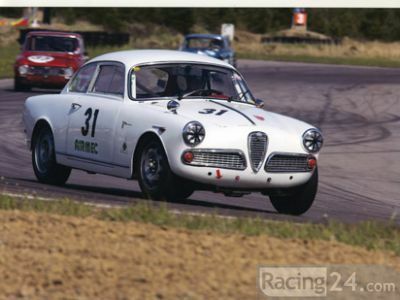 This car is available right now out of Finland on RaceCarsforSale with an asking price of 32,000 Euro’s. It looks to be mainly a track car, but since it started life as a street car it shouldn’t be too much trouble to make it street worthy if that is your desire -I know it would be mine. Looks tight and racy. Body is in good shape on cursory inspection. Presence of trim, windshield wipers and lights makes me think it is probably driveable on the street as is. Rear wheels look widened. Update 1/6/00: Now on eBay with starting bid of $10,000. Update 1/5/09: This car was on eBay starting 12/29/08 for about 5 minutes with a starting bid of $12,000 before ending early. 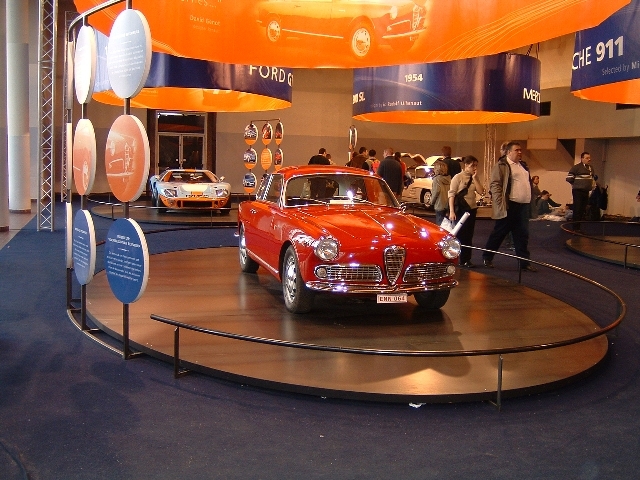 Giulietta Sprint Veloce 750E 1493*06930. This car is available right now from Brighton Motor Sports for $28,000. This car is humorously described as having a “900cc block with a 1250cc head”, pictures of the engine compartment look like a 1600 is installed. I recently sold SV 06917 to Corey in Seattle and SV 06924 was sold last year by FJ, both those cars are the same Amber White but with with blue/gray interior. This car probably shared the paint booth with those cars and they almost certainly went tip-to-tail through the assembly line together. This car is not in as good shape as 6917, and certainly doesn’t have the monster 1750 that it has, but the asking money is the same. Ouch! 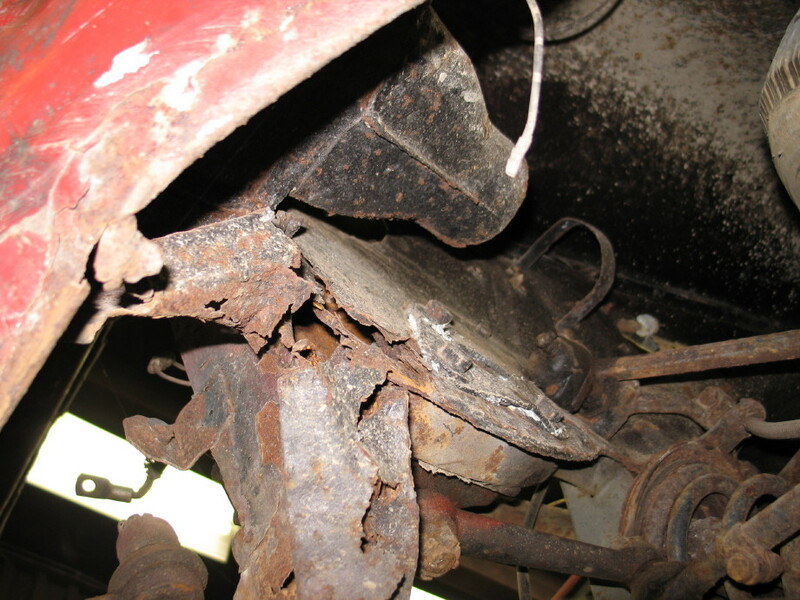 My red Sprint experienced this sort of thing when its brakes went out. Was $1800 to fix it up back to presentable. Stripes almost look like 3M masking tape.